Almost off my loom and ready to block is this lace edged shawl. I'm thrilled with how it is turning out, after many many tries and failures. The pattern will be more of a challenge than others I have written, with a 22 row repeat. But I found that after 2 repeats, I had it all memorized and could work without notes. The yarn does not photograph well, but after blocking you should be able to see the lace details in the stitch pattern. Speaking of stitch patterns, Made by Telaine has some recently posted stitch pattern conversions for the loom as well as a fun shared knitting project she is moving from needles to loom and back again. Brenda, our Loom Lady has outdone herself with Valentine loom projects, and Helen MyHeartExposed is justifiably honored to have her incredible sweater, all loomed, all homespun, all hand-dyed, published. What great inspirations they all are! Copyright 2011 by Invisible Loom and Craft, Renee Van Hoy. All Rights Reserved. Personal Use Only. 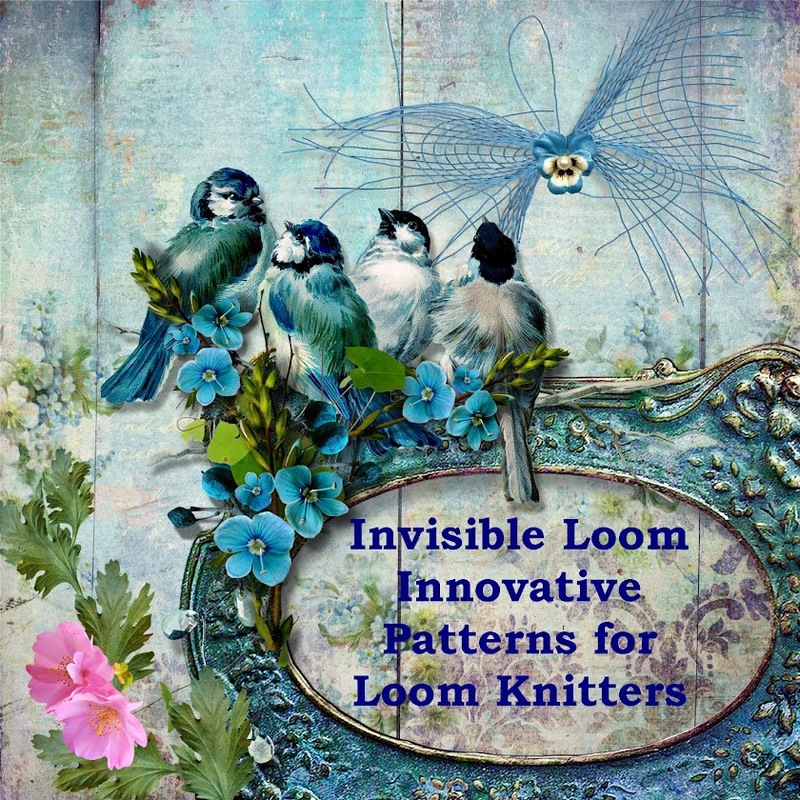 I am continually amazed by the fantastic array of projects you make with your looms! I think I might go and get my looms back from my mom to try out a few of your designs! Love this one!!! Finished the hat and the design and instructions are wonderful. Thank you for generously sharing your talent.